The Red Panda is a small species and they are found around various areas of China. This particular panda is about the size of a domestic cat. The fur can be red or rusty colored and they have a long tail. The Red Panda often has white around the face and the years. Bamboo makes up the biggest part of the diet. They will also consume insects and small mammals. The Red Panda lives a solitary existence. They are active when the sun comes up but then they rest after dark. There are very limited numbers of this panda left in the wild so they are protected at this time. 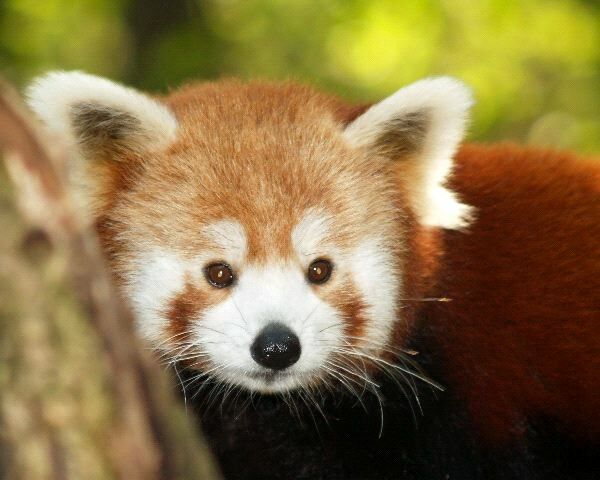 It is believed that destruction of habitat is the biggest threat to the Red Panda. They are about 8 to 14 pounds when fully grown.